A Facebook post by the Philippine Independence Day Committee 2014 (PIDC) inviting Filipinos to celebrate their national day in Ngee Ann City on June 8 has irked some Singaporeans so much that they have gone on to PIDC's Facebook page to demand that they cancel the celebration. Besides intimidating the organisers online, some of these protesters have also reportedly called PIDC to say that they have no right to hold the event at Orchard Road. PIDC felt distressed enough by these hecklers to take down their Facebook page for this celebration. But they have said that their Independence Day party will go on. Initially protesters taking issue with how PIDC had used the Singapore skyline in their celebration notice, that certain words like "two nations" and "interdependence" which the organisers had used, and that celebrations of a foreign country will be held on Singapore's soil; demanded that PIDC cancelled the event. They said that PIDC should only celebrate the event in the Philippine Embassy of Singapore. They claimed that the Philippine Independence Day is a political event as it commemorates the day that country got its independence for its colonisers and not a cultural event like Singapore Day. I'm not sure if they have purposely overlooked the fact that the Philippines doesn't have a signature event like Singapore Day to engage overseas Filipinos. When other Singaporeans pointed out how unreasonable their demand was, and that overseas Singaporeans had celebrated events like Singapore Day and even our own National Day in foreign countries, very often with support from foreign government related or supported agencies, the hecklers changed their tune saying that foreign flags should not be flown in Singapore - even when there is absolutely no proof that the organisers intend to do so. 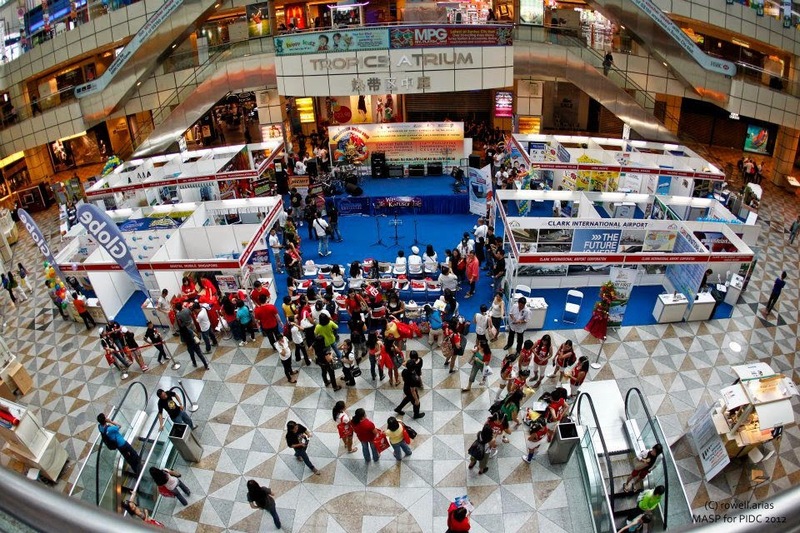 This is a picture taken at the Philippine Independence Day celebration in Jun 2012 at the Atrium in Suntec City. Do you see any Philippine state flag being displayed anywhere? The protesters said that they wouldn't have an issue with the celebration if it was held indoors or even in a park, adding that they didn't raise a ruckus in the last few years when the Philippine Independence Day was celebrated in less conspicuous spaces. I am not sure if the protestors did not protest these celebrations in the past years, not because it was held in a less conspicuous place than Orchard Road, but because they were not aware of the celebrations previously. Or if they weren't feeling as emboldened then as they are now, after the Government's Population White Paper received unprecedented backlash, thinking they will have the support of majority of Singaporeans. Without providing any proof whatsoever, they claim that foreign countries allow overseas Singaporeans to celebrate our National Day on their soil only in a park or far away from the city-belt. They fail to consider if the real reason for that could be because these overseas Singaporeans may choose to celebrate such events in a place where it is easy for them to congregate, and not so much if it is in the city-centre or not. Or because the number of Singaporeans in these foreign countries are too small that booking a public foyer instead of a function room in a hotel will seem ridiculous. PIDC may want to celebrate their Independence Day in Ngee Ann City not because they want to take over our space as claimed by those that protest, but because it is the only space big enough in a location that is familiar enough for the Filipino community in Singapore. Let's not forget that there are reportedly about 180,000 Filipinos in Singapore, and most of these congregate in places like Lucky Plaza in Orchard Road on the weekends. The organisers after all want to hold the celebration in a privately owned space. If Ngee Ann City wants to lease PIDC the space, and if they get the necessary licences from the authorities for their celebration, I see no reason why they should not. To a certain extent, this anger by these protesters is understandable. I am not sure if their anger, even if it seems directed at the people of Philippines, is directed instead at the Government of Singapore. The Government had interfered in the booking for facilities by activists and Non-Government Organisations (NGO) in the past. And also, some private organisations, for various reasons, have not allowed activists and NGOs to rent space for their events, or in some instances have also cancelled the booking of space in the last minute, causing the NGOs and activists much anxiety. 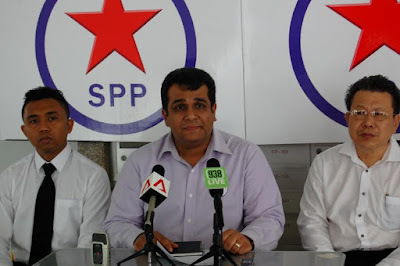 The anger may also be against the Government policies which have allowed a large number of foreigners to come live and work here in Singapore with us. Besides the Chinese from mainland China and the Indians from India, the Filipinos are another big foreign community in Singapore, who are perceived by some to be competing unfairly with the locals for space and opportunities at work and schools. But whatever these reasons may be, there is absolutely no reason for the protesters to be objecting to this celebration of the Filipinos in the manner that they had, especially when PIDC has publicly stated that the event was to "express the gratitude of Filipinos for the opportunity to work and stay in Singapore". Yes, I agree that some the posters designed by PIDC to advertise the event is insensitive and even offensive. But, the protestors could have red-flagged the poster and sought clarification and even an apology from the organisers for it. But without better calibrating their protest and by overblowing the issue to what it has turned to today, the protesters have done no one no favours. Afternote:As I had pointed out in the article, the poster here is insensitive and even offensive. I just noticed it not too long ago. But someone pointed out to me that this is not the poster for their latest celebration, but a poster from 3 years ago, from the year 2011. How come no one raised any ruckus then?